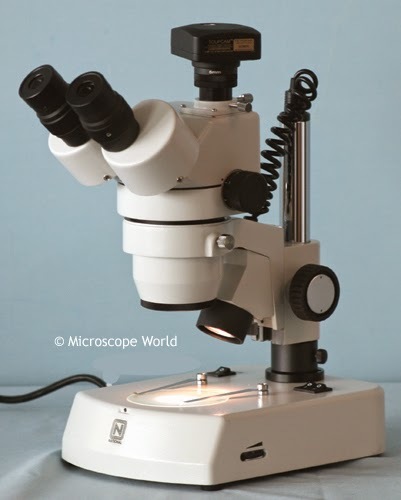 There are two types of microscopes you might find in your school, and each can be used to view different samples. A biological microscope has light that shines up from beneath the stage directly through your sample and provides high magnification (40x, 100x, 400x). Samples are placed on a microscope slide and must be thin enough to allow light to pass through them. A cover slip is usually placed on top of the microscope slide. 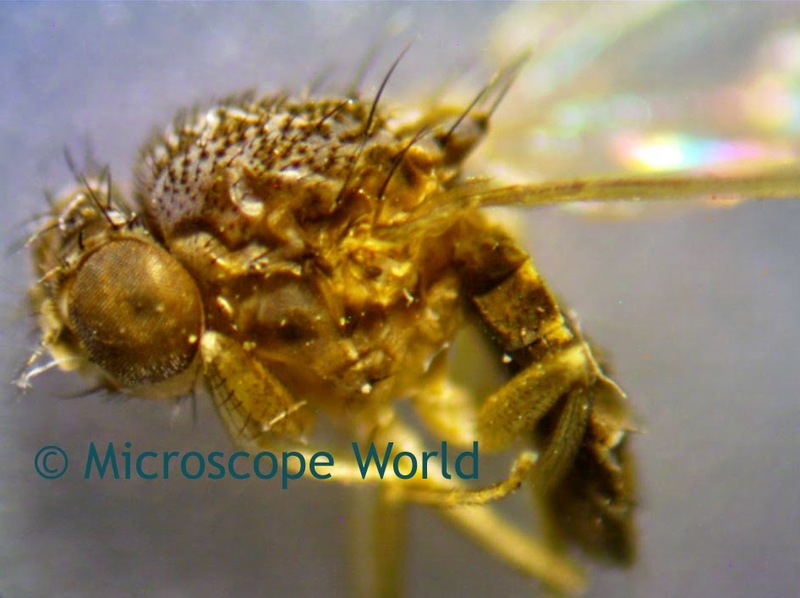 Here are some great ideas of samples you can view with a biological student microscope. Pond water (algae and bacteria, protozoans and other living organisms can be viewed). Mold found on cheese such as Brie, Camembert or many other types of stinky cheese! Hair - just a single strand of hair is all that is needed. Cheek cells - use a Q-tip to scrape the inside of your mouth and place the sample on a slide. Thinly sliced piece of an onion. Can you see any cells? Student stereo microscope with digital camera. 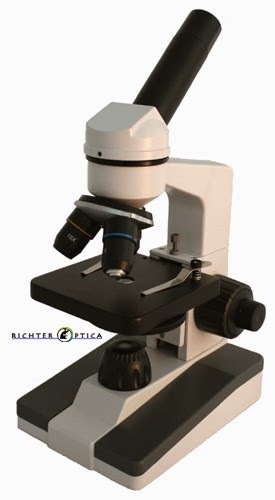 A student stereo microscope (or dissecting microscope) provides lower magnification (typically 10x - 40x) with light from above and/or below the sample. There is more room under a stereo microscope to place a larger sample such as a rock or plants. Here are some great ideas of samples you can view in the classroom under a stereo microscope. Dust, dirt and sand. The different grains and particles of sand and dirt are fun to view. Textiles or fabric. What does the weave look like? Printing text. What does a newspaper print look like compared to something you print from your computer? Fruit and vegetables. Cut them thinly and then look at what you see under the microscope. Tomatoes, mushrooms and kiwi are all interesting to look at. Insect captured at 45x magnification. Have fun with your microscope. If you capture any interesting images send us an email, we would love to see them!